This book was amazingly good! I honestly loved every page of this story. 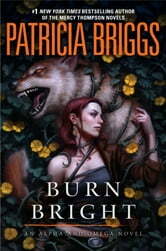 It should probably come as no surprise to anyone who follows my reviews that I am a huge fan of Patricia Briggs. I was incredibly excited to get my hands on this book and went into it with really high expectations. This book exceeded every one of those expectations. Charles and Anna are back at home with the Marrock's pack but this time Bran is away. Charles has taken on some additional responsibilities with Bran's absence and he is working hard to keep the peace with Leah. When a call comes in from the mate of a wolf that lives in the wilderness on the outskirts of the pack, they are pulled into a much deeper mystery. I loved so many things about things about this book but the characters are really at the top of the list. Charles, Anna, and Brother Wolf are some of my favorite characters. I really liked getting to see the bond between Charles, Anna, and Brother Wolf. Yes, Brother Wolf is the wolf side of Charles but he really does see things differently at times and is a distinctly different character. I love how Briggs is able to define these parts of Charles so seamlessly. The secondary characters were also great. Asil has been a character that I really enjoy and he played a very large role in this book. He was so strong in this book and I love the way that he watches over and protects Anna. Leah has always been a character that I loved to hate. She has always seemed more difficult than anything else in previous installments and she still has her moments in this book. I feel like I understand Leah a lot more after reading this book and now that I know why she acts as she does it is a bit more forgivable. I also thought that the wildlings that live on the outskirts of Bran's pack were very interesting and added a nice touch to the book. The mystery in this book was very solid and kept me guessing. There were more than a few surprises along the way and I couldn't turn the pages fast enough. There were quite few action scenes and there were a few moments that I was worried about how things would work out. It really was an exciting story filled with much loved characters. I did miss Bran at times but I do think that his absence let others take a turn in the spotlight. I would highly recommend this series to others. This is the fifth book in the Alpha and Omega series and works best when read in order. This series takes place in the same world as the Mercy Thompson series with a lot of overlapping characters. This was a very solid installment in the series that I found to be incredibly entertaining. I cannot wait to read more from Patricia Briggs very soon. I received an advanced reader edition of this book from Berkley Publishing Group via NetGalley. If I could only read one author...it would have to be Patricia Briggs! I'm engaged and invested fully into the world she paints, by page one. I love all of Patricia Brigg’s books, but I have a real soft spot for Charles & Anna. This book didn’t disappoint and, happily, it looks like the series will continue at least for a while. Another perfect addition to the series. The Alpha & Omega by Patricia Briggs is one of my favorite Urban Fantasy series. Unfortunately, the books in this series releases every two or three years, so I treasure the books even more than I do with other series. Charles and Anna are one of my favorite couples and I always look forward to seeing their relationship develop. These two have come a very long way, and I love that the author gives us something new every book in regards to their personalities and their abilities. I will not go into detail about the plot because the blurb gives a perfect summary of it. The writing was great and easy to follow. The story had a very nice pacing and the author took her time to tell the story. "Ours, said Brother Wolf. She is perfect, our soul mate, our anchor, the reason we were created. So that we could be hers." In this book we are introduced to 'wildings': "They are the wild and the broken. The werewolves too damaged to live safely among their own kind." I loved these wildings a lot because they are very mysterious and have been around for hundreds of years. They have great knowledge about the world and other paranormal beings. Every side character added so much to the dynamic of the story. I loved the plot in this book and the case/mystery Charles, Anna and others had to solve. It was suspenseful, action-packed and had the perfect amount of magic. I haven't been disappointed by any of the books in this series yet, and I hope that Patricia will continue to deliver topnotch work. 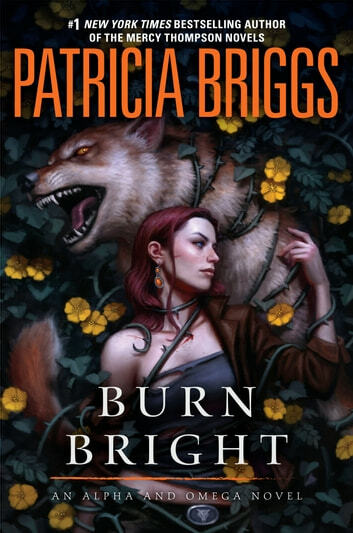 Burn Bright definitely satisfied my craving for this series, and it will hold me over for the next two/three year. Briggs’ newest book beautifully blends previous story lines with new twists. I can honestly say that I didn’t see that coming. Well worth the read.